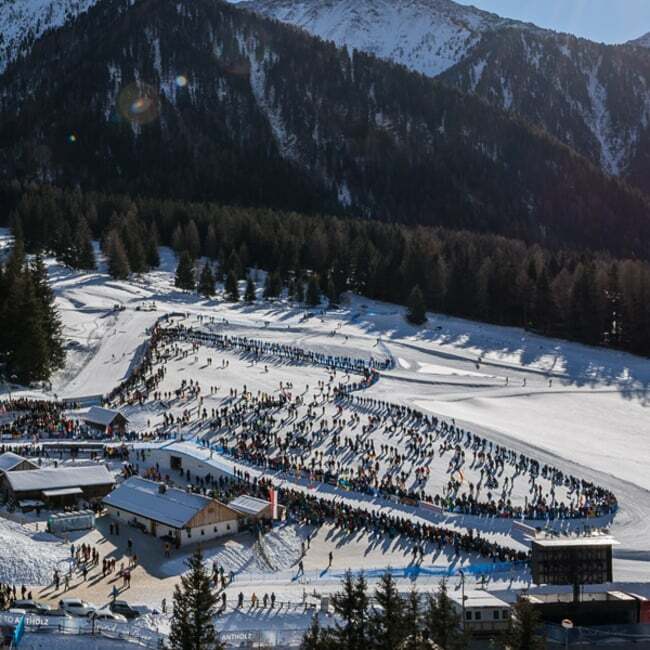 To reach the Südtirol Arena for a sightseeing tour, we recommend that you leave your car behind and take the public bus. It’s just a ten-minute walk from the bus stop to the stadium entrance, where we will meet you. Come and experience the excitement of this large sports venue that has already hosted numerous international competitions. See the technical and functional rooms, the whole of the administration building and the spectator stands in more detail. 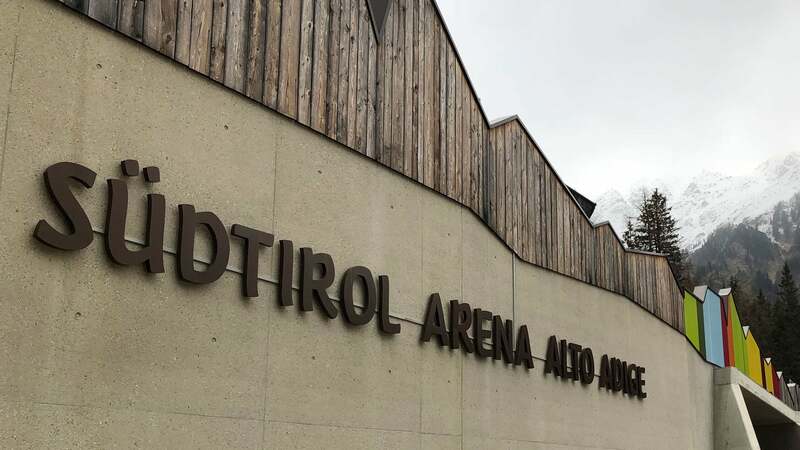 We tell you exciting stories and give you interesting facts about the Südtirol Arena. 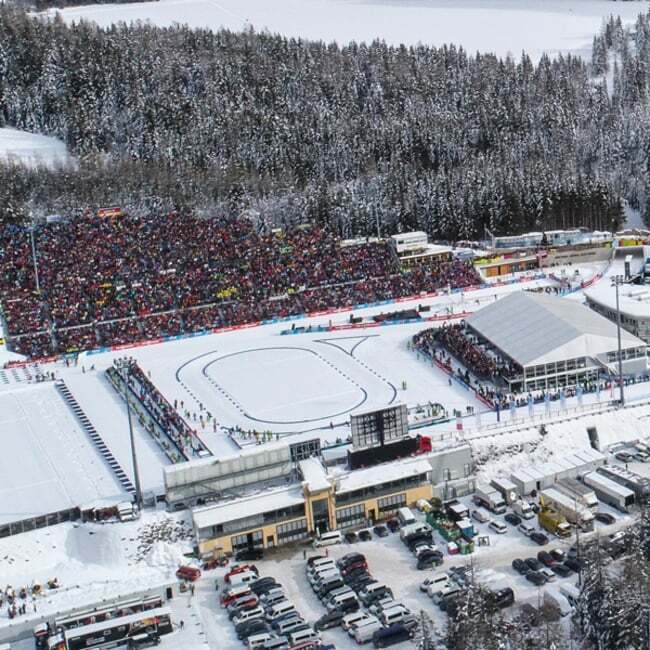 A film about biathlon rounds off your knowledge of the sport. When you reach the shooting range you can feel like an elite sportsperson and put your marksmanship to the test with five shots. We offer stadium tours from may to october each Tuesday and Friday from 11am to about 1pm in German and from july to august each Tuesday in Italian. As a general rule, you should register with us before 9am on the same day by telephone or e-mail. The minimum number of participants is six adults. Price: 15,00€ per person. Children up to 12 years are free. Shooting only possible from 12 years. Note: tours can also be arranged at other times on request, i.e. outside the regular days and hours. In such cases a minimum of ten adults must be present.